Makhane ki kheer, a sweet dish for any occasion, specially Navratri or Shivratri fasting or vrat. 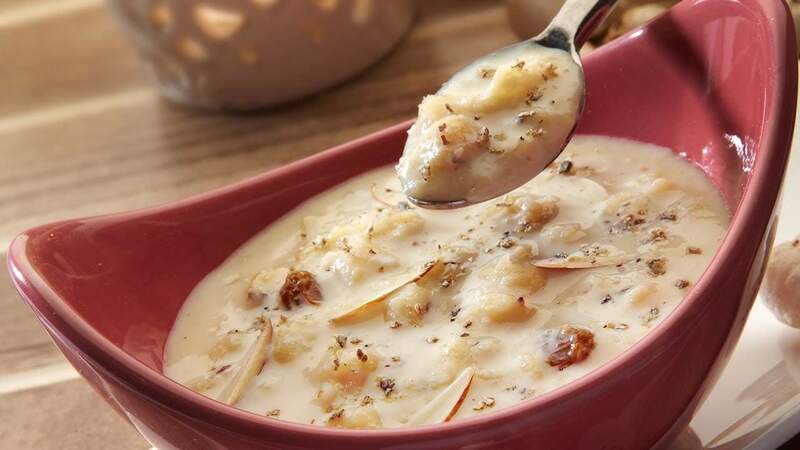 Makhane ki kheer is very tasty and healthy. First, you chopped the lotus seed into4-5 small pieces.Roast the lotus seed in a pan with 1tbsp ghee, till they become light brown, then grind itwith a grinder. Roast all nut put aside. Now add milk in a heavy bottom pan to boil, add makhana cook8-10 minutes till it thickens start, add sugar mix it well, stir regularly.